Over the past decade, laboratory experiments on fish early life stages have found many traits that are evidently sensitive to elevated CO2 levels. With respect to larval growth, high CO2 environments are commonly assumed to increase acid–base regulation and other plastic responses, thus incurring additional metabolic costs that reduce the scope for growth. This assumption is not well supported by empirical evidence. One reason might be that experiments often provide unrestricted feeding conditions, which could allow larvae to compensate for higher costs by increased food intake. To remove potentially confounding effects of larval feeding, we conducted a series of starvation trials on offspring of the Atlantic silverside (Menidia menidia), predicting faster starvation at high compared to ambient CO2 treatments. We compiled observations from five separate experiments spanning different years, laboratories, temperatures (17–26 °C), life stages (newly hatched larvae, previously fed larvae, early juveniles), and CO2 levels (300–6500 µatm). Contrary to expectation, we found that starvation rates were largely independent of the CO2 environment in this fish species. The one exception occurred at the lowest temperature and most extreme CO2 treatment, which resulted in slower not faster starvation in newly hatched larvae at high compared to ambient CO2 treatments. 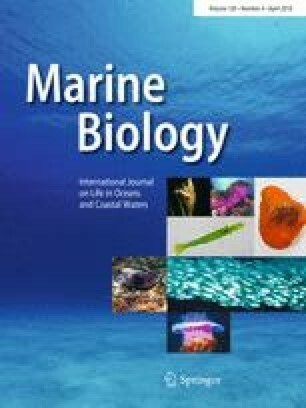 The apparent failure of starvation rate as a proxy for CO2 effects on larval fish metabolism may have several reasons, including potential CO2 tolerance of offspring, observed large stochasticity in early life survival masking small metabolic costs of high CO2, and the general depression and reconfiguration of fish metabolism in response to food deprivation. Reviewed by A. Frommel and undisclosed experts. We are grateful to C. Woods, J. Pringle, J. Snyder, and J. Harrington for assistance in the lab. This study was funded by a Directorate for Biological Sciences, National Science Foundation Grant to H. B. (NSF-OCE 1536165) and the NSF-REU Grant (1658663). All authors declare no competing or financial interests. Experiments were performed under IACUC protocol #A14-032.